The Classic Revival Light Rail Insert exemplifies Classic Revival style with a modern twist. 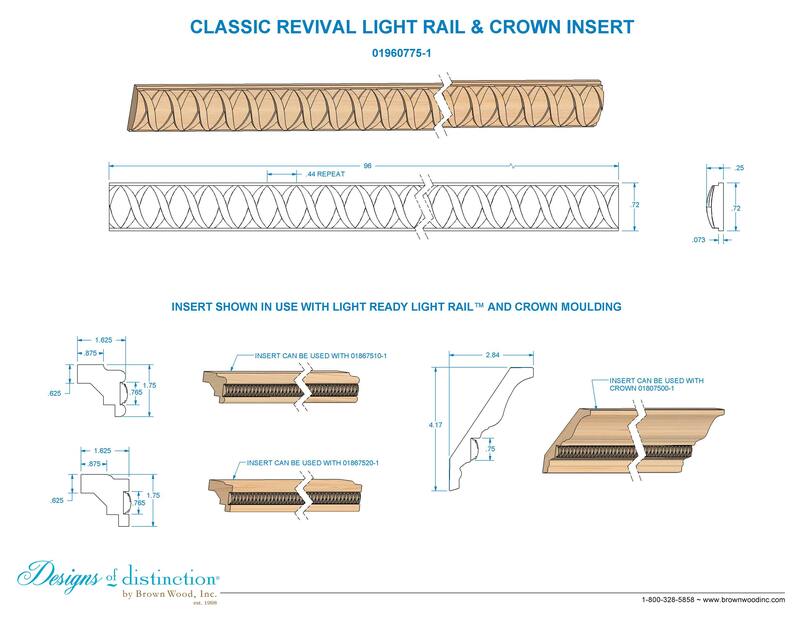 The Classic Revival Light Rail Insert can be used on it’s own or combined with our Traditional, Contemporary, or Crown Light Rail Moulding for a truly unique look. The Classic Revival Light Rail Insert is part of our Classic Revival Collection.